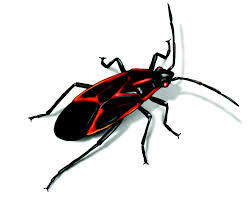 Home › Construction Spanish › Jobsite Leadership › Your bugs are shallow. Ben Horowitz, he of the Andreessen Horowitz venture capital firm, recently published a fantastic new book, The Hard Thing About Hard Things: Building a business when there are no easy answers. Never mind the venture capital mystique, if you are in business and lead people, you ought to read this book. The initial unintelligibility of the phrase made it memorable for me. Horowitz explains that coding errors become obvious to someone – and therefore solvable – when you have enough people working on the problem. And to get enough people working on the problem, you must communicate the problem to a lot of people. When things turn south, our instinct is to cradle the baby tight. Solve it on our own. We don’t want to appear vulnerable. We don’t want to be vulnerable. But this strategy of sheltering the problem is counterproductive. The sooner the problem is shared, identified and solved – the sooner you can move on. And the path to identification is through mental brute force. The more people working on the problem, the sooner it will be solved. I’ve seen dozens of seemingly vexing drywall problems solved quickly once the actual drywallers – the ones doing the work – were asked to lend their eyeballs and IQ. They were only advised as a last resort because of the language barrier. Don’t let language barriers limit the number of eyeballs on your bug. Type out your most common problem. If you don’t have a translator (or a budget), use Google Translate to Spanishize your problem. Print out 100 copies of the problem statement and hand them out. Offer $100 to anyone returning an idea that leads to a solution. When you ask for advice, people want to help. It’s a form of admiration for the person’s skills and talents. Maybe that’s your intention… or maybe not. Your goal is to get more eyeballs on your bug. ‹ How I struck out 18 7-year-olds yesterday.